Peggy Sue Bush was born on May 2, 1951 to Carl Edwin and Freida Beatrice (Maggard) Goetz in Stockton, California. She departed this life on February 8, 2019 in Pryor, Oklahoma. Peggy grew up and attended school in Springfield, Missouri. She worked in the home most of her life and she also set up booths at the First Monday Trade Days in Canton, Texas for several years. Peggy was a very kind and caring lady. She would do anything for anyone that needed it. She had three little dogs that meant the world to her and she loved them dearly. Peggy was a wonderful daughter, mother and aunt and she will be deeply missed by all who loved her. She is survived by one son, Shawn Wayne Pine of Missouri; her mother, Freida Green of Pryor; one grandchild; one brother, David Goetz of Missouri; one sister, Judy Gordon of Missouri and several nieces, nephews, other relatives and friends. She is preceded in death by her father, Carl Goetz. 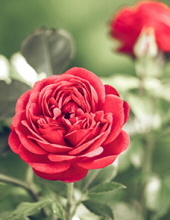 To send flowers or a remembrance gift to the family of Peggy Sue Bush, please visit our Tribute Store. "Email Address" would like to share the life celebration of Peggy Sue Bush. Click on the "link" to go to share a favorite memory or leave a condolence message for the family.